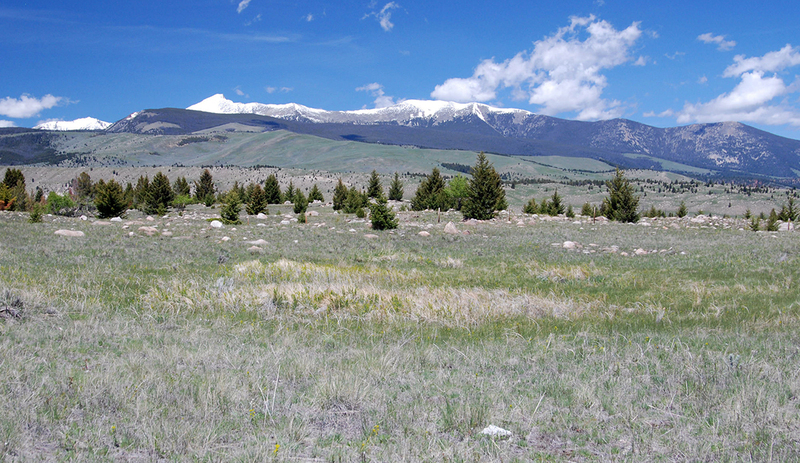 With majestic views of the Flint Creek Range and Racetrack Peak, Modesty Creek Meadows offers numerous opportunities. 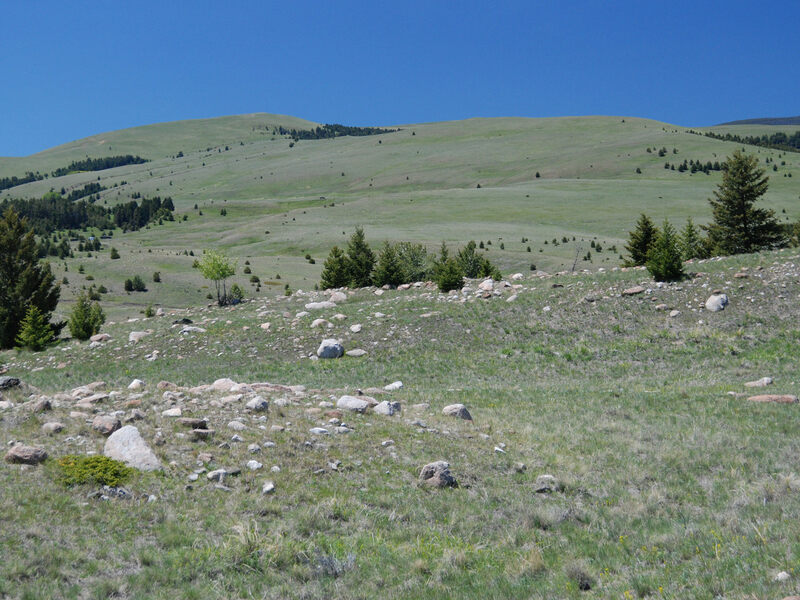 The Montana Property for sale is comprised of approximately 1,200 acres and is primarily native rangeland and pasture interspersed with some stands of pine, fir and aspen. Modesty Creek traverses a portion of this Property for approximately one half mile offering a modest brook trout fishery which could be enhanced. 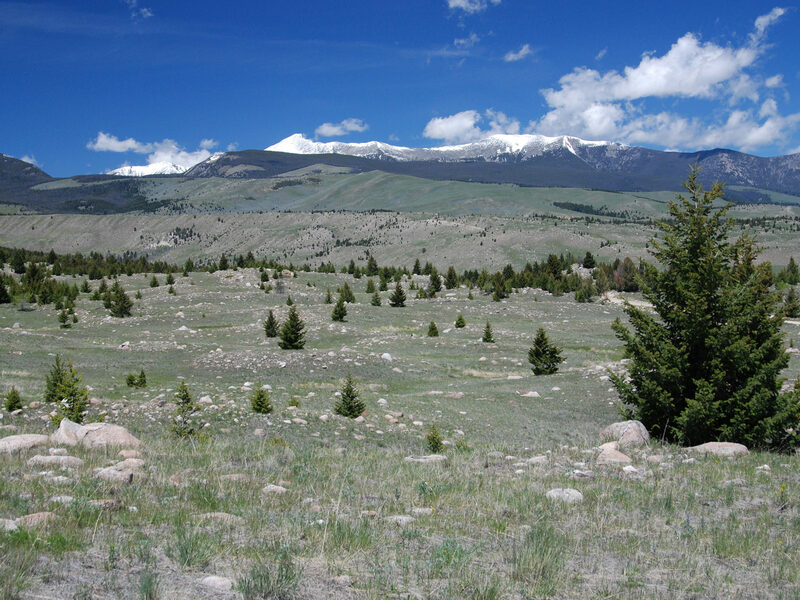 The Property also offers good habitat for mule and whitetail deer and is a corridor for a herd of elk that numbers in the thousands as they migrate out of larger surrounding private holdings and the Deer Lodge National Forest. 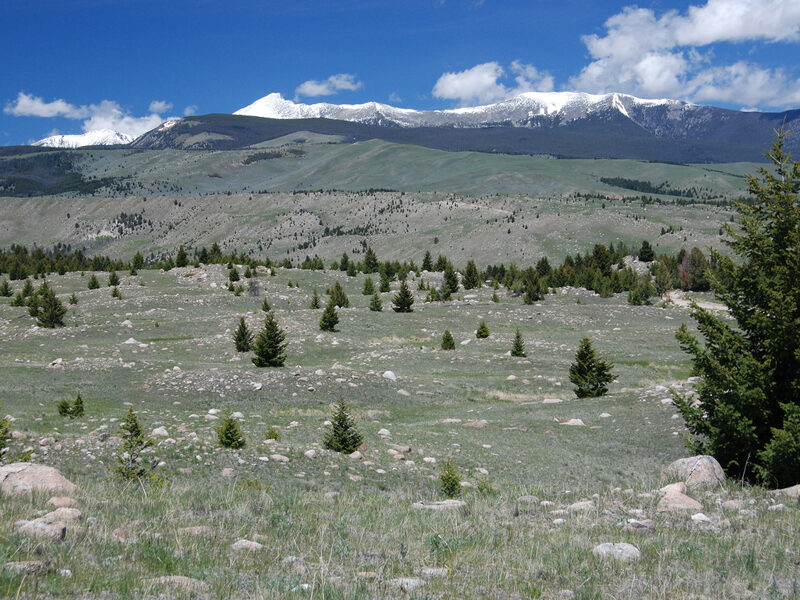 There are several quality options for private home sites that capture the views of the Flint Creek Range. This area is renowned for its outdoor recreational amenities and is surrounded by a multitude of small mountain lakes and an unlimited trail system offering four-wheeling, horseback riding and hiking. 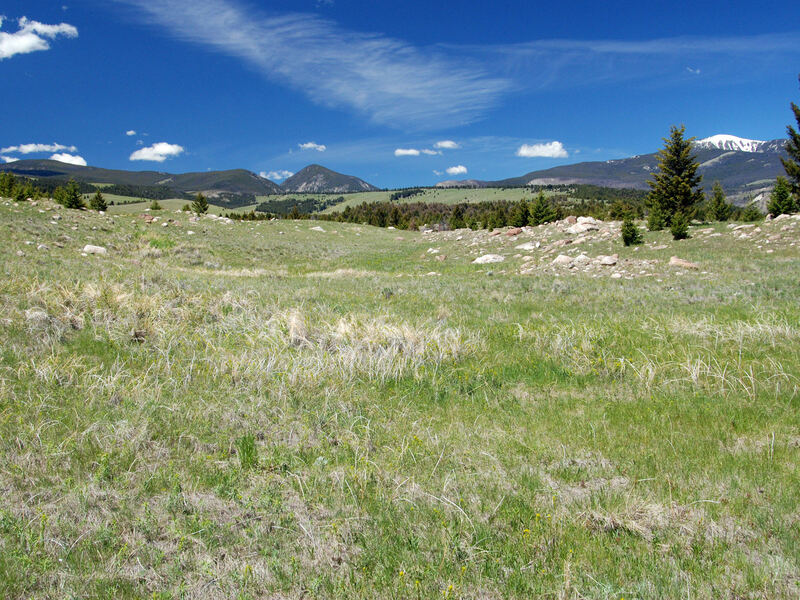 Priced for the agricultural component, Modesty Creek Meadows also offers significant recreational amenities and is a pristine Montana real estate gem. The Property is conveniently located about 10 miles west of Anaconda, Montana and about 30 miles northwest of Butte. It is accessed by driving on a well-maintained county road, Bowman Road which is off the I-90 Galen exit. With a population of just under 10,000, the economy of Anaconda thrives on the recreational amenities that surround the area – including fishing, hunting, golfing and skiing. The rich history of the region provides vast opportunities to learn about Montana’s storied mining history and the famed Copper Kings. Families can expect their children to receive a high quality kindergarten through high school education in the Anaconda School District. Students attend from the surrounding community to experience the unique environment of the mid-sized, multi-grade classrooms. For private aircraft, fuel service is available at Anaconda’s Bowman Field Airport (3U3). There are two asphalt runways that are in fair to good condition. The airport sits at an elevation of 5,030’ above sea level and can be contacted on CTAF frequency 122.80. The airport is suitable for private aircraft and is easily accessible. Additional information is available on their website: http://www.airnav.com/airport/3U3. There are currently no utilities or services to the property, although power runs along Bowman Road and terminates on the neighboring ranch to the east. There are two well casings that have been drilled on the property and have historically provided seasonal stock water, but neither has a pump or has been used for several years. Marcus Daly, known as one of the “Copper Kings”, founded Anaconda in 1883. Daly and his associates constructed the Anaconda smelter along Warm Springs Creek to process copper and silver ore from their mines in Butte. Daly also unsuccessfully campaigned to have Anaconda named as the State Capital of Montana. By 1919, the 585-foot Anaconda Smelter Stack, was the tallest masonry structure in the world and the smelter complex constituted the world’s largest nonferrous processing plant. The creation of the smelter also led to the Union Pacific Railroad being brought to the area in late 1882 allowing developers to build, equip the smelters and transfer the ore. This had a major impact on the growth of the town. The smelter was one of the town’s largest employers and provided well-paid jobs for generations. The last of the smelters in Anaconda closed in 1980 and with it – a legacy in the mining history in this area. To this day, the giant 585-foot smokestack remains a landmark. 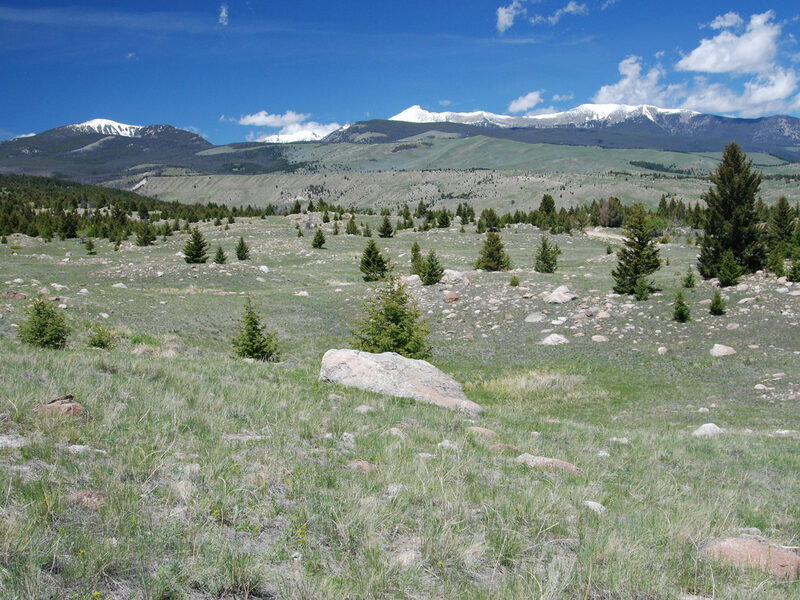 The Property is located close to some of the most desirable recreational areas in Montana. Anaconda and Deer Lodge County offer a plethora of fishing and hunting, golfing, boating, and skiing as well as other winter-time activities. Georgetown Lake, located less than 30 minutes to the northwest, is approximately 3,700 acres and offers activities year round. This blue ribbon fishery is home to trophy-sized rainbow and brook trout, as well as kokanee salmon. Ice fishing is also popular in the winter. Boating, jet skiing and canoeing or kayaking are all options to cool off after an adventurous hike or mountain bike ride on the countless trails surrounding the lake. The Big Hole River, a world renowned trout fishery, is one of only a few free-flowing rivers remaining in the West. A major tributary in the headwaters of the Missouri River, the Big Hole River flows through the heart of the Deerlodge National Forest and offers a full menu of fly-fishing opportunities. Floating its classic riffle, run and pool water during the higher flows in June when the renowned salmon-fly hatch explodes provides one of fly-fishing’s most rewarding experiences. The River is comfortably wadable from July through October with classic caddis, stonefly, and mayfly hatches and your reliable late summer terrestrial action. Streamer fishing is particularly enjoyable in the spring and late fall. The productive Middle Section supports a good population of large fish – catching German browns up to 23 inches in length is a delightful, regular experience. 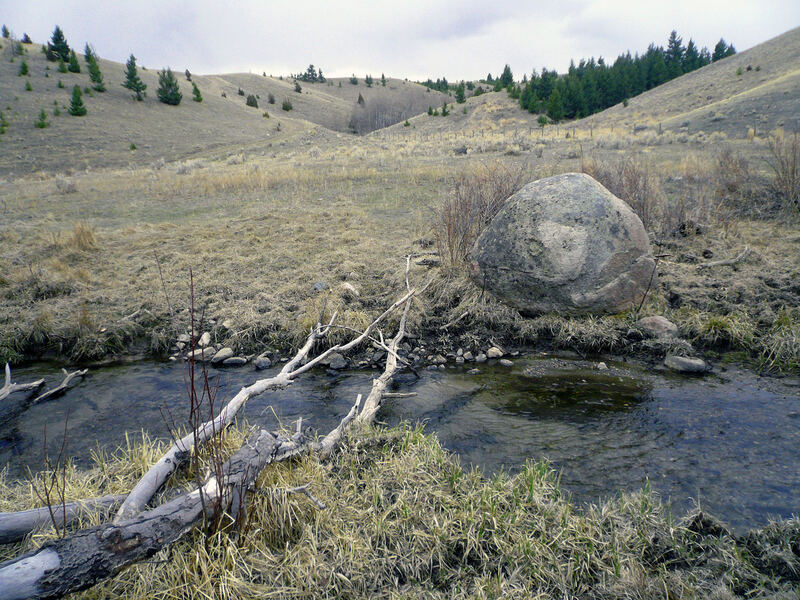 Within 10 minutes of the Property, the headwaters of the Clark Fork River near Warm Springs, and surrounding ponds offer great action for brown and rainbow trout often exceeding 10 pounds. This quality fishery will have you seeking out your fly rod. There are three golf courses within close proximity of the Property. The 9-hole Anaconda Country Club opened in 1918 is well maintained and very reasonably priced. The Old Works Golf Club – A Jack Nicklaus Course offers 18 holes and has continually been ranked as one of the best courses in Montana. And the 18-hole course at Fairmont Hot Springs was recently named by Golf Digest as one of the “Best Places to Play”. In the winter, Discovery Ski Area, just 40 miles away, is a great family ski hill offering a diverse terrain for all levels of skiing and snowboarding. From the 67 runs with 2,100 patrolled acres of skiing you can enjoy the stunning vista overlooking Georgetown Lake. For cross country skiing the Nordic trail system of Mount Haggin, offering 20 kilometers of groomed trails, is one of the best trail systems in Montana. Snowmobiling is also popular on the 650 miles of groomed trails in the Fairmont area. 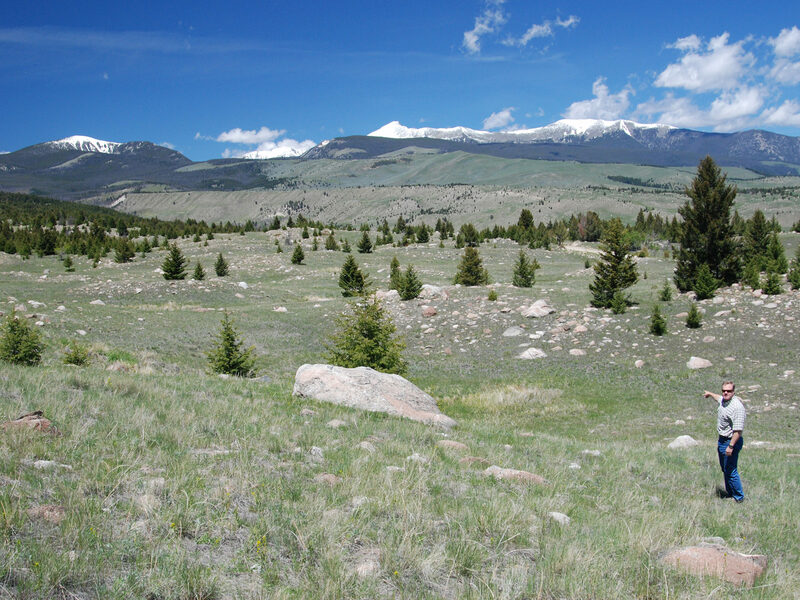 Modesty Creek Meadows provides an opportunity to own a nice size piece of ground in an area of Montana that has diverse recreational opportunities. 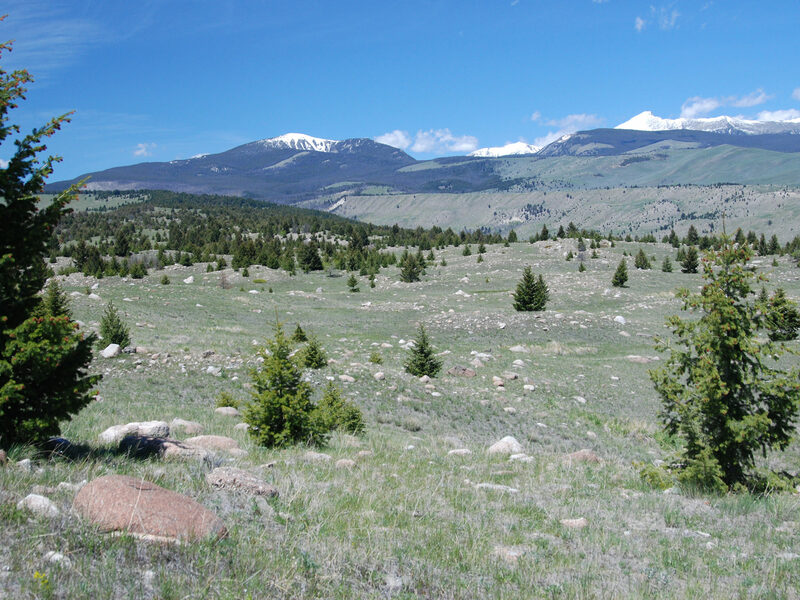 Buyers who have watched property values in Montana over the years will find Modesty Creek Meadows to be competitively priced in today’s discerning market at approximately $525 per acre. 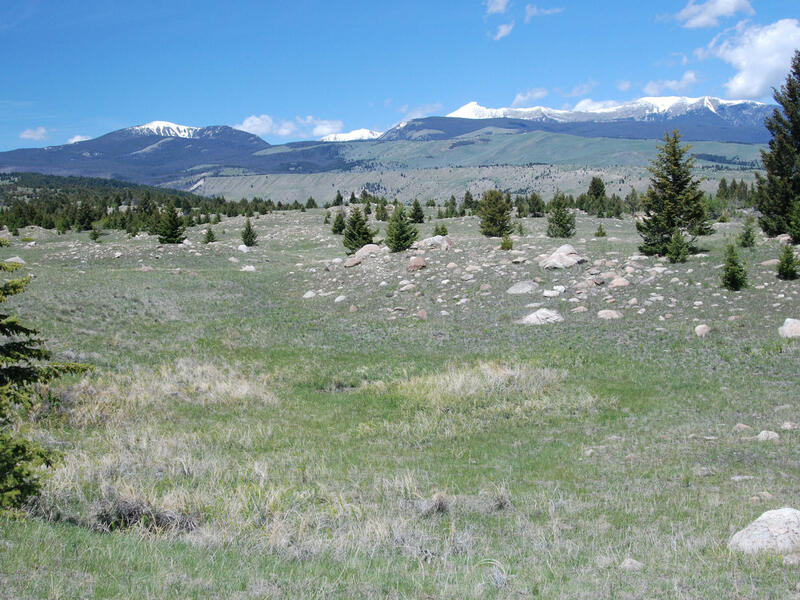 With good county road access, the Ranch can be enjoyed on a year round basis and will provide access to plenty of summer and winter recreation both on the property and in the nearby Deer Lodge National Forest. 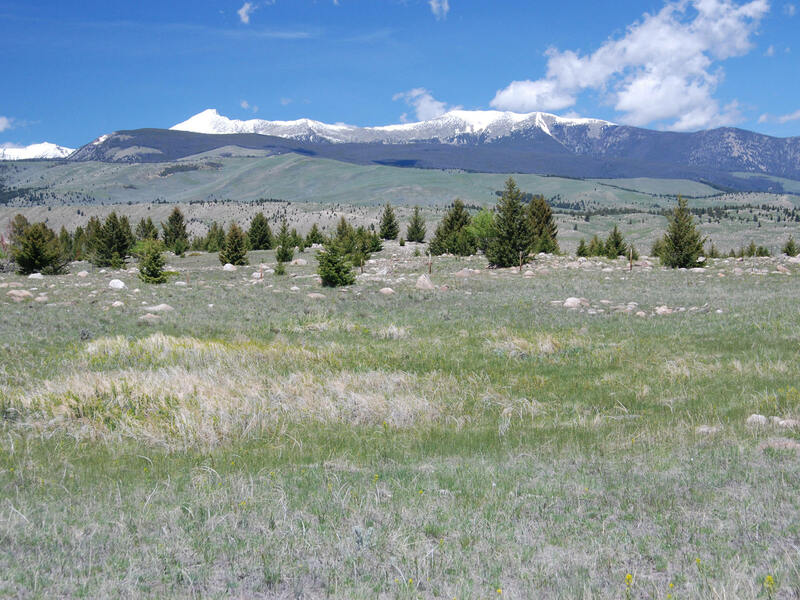 Numerous building sites exist and will provide the next owner the enjoyment of living in one of Montana’s finest recreational areas. The next owner has plenty of opportunities to plan and construct a new compound with their personal touch at a location that best suits them. Earnest money deposits will be placed in escrow at First American Title Company in Anaconda, which will then place the funds with local banks at nominal rates of interest accruing to the Purchaser’s benefit until Closing, should they provide the necessary paperwork. Buyers’ Brokers are welcome and invited to contact Swan Land Company for information regarding Cooperation Policies.